A recent case (Wild v Wild) has highlighted again the need for farmers to be clear about how the farming assets are held. 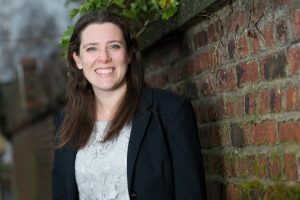 Whilst putting a partnership agreement in place is the last thing farmers want to think about when they’re busy getting on with the day job, it can have a big impact in the future, particularly when the next generation takes over or if there is a partnership dispute, or even for tax purposes. The case makes clear that even having up-to-date partnership accounts isn’t conclusive when deciding how assets are held. Often people think that the situation is clear because it’s what they always intended or the accounts reflect the situation, or because the partners all own land they believe it is owned by the partnership. It’s always a good idea to have a ‘health check’ of the partnership to prevent disagreements in the future and to make sure that the current position is tax efficient. The Wild family had a dairy farm in Derbyshire which had been farmed in partnership since 1978. Following a breakdown of family relationships there was a discussion about who owned the farm. This included the farmhouse where Mrs Wild lived and a bungalow where one of the sons lived with his family. The question for the court was whether the farm passed to Mrs Wild when Mr Wild died in 2012 or if it was an asset of the partnership and needed to be divided between his two sons. This had huge implications for the family not least because it could mean that Mrs Wild would need to leave the home she had lived in for over 30 years. The court considered a number of important points and ultimately came to the conclusion that the land was not an asset of the partnership and was owned by Mrs Wild. The points they considered help us to understand what the courts will take into account but a partnership agreement and up-to-date partnership accounts can assist in avoiding future disagreements between families and HMRC. A partnership occupying the farmland or paying for improvements is not conclusive evidence that it was a partnership asset. The court concluded that the partnership accounts prepared and signed by the partners did show that the farm including the farmhouse and bungalow were an asset of the partnership. However, despite this, the evidence they had seen showed that Mr Wild had not been interested in paperwork and was likely to have signed the partnership accounts without fully understanding the implications. Although the court did say that the evidence it is likely to be powerful and persuasive it decided that, based on all of the circumstances, Mr Wild had not intended that the farm should be an asset of the partnership and therefore it was not. Partnership accounts are not conclusive evidence that an asset is or is not a partnership asset even if the accounts have been consistent over many years and have been in writing and signed by all parties. However, they can be powerful and persuasive evidence. The court also considered the comments made by Mr Wild over time including the fact that his son was only 16 when the partnership was first formed and that Mr and Mrs Wild made most of the decisions. There was also evidence about discussions relating to their Wills where Mr and Mrs Wild seemed to suggest that they thought they owned the land and buildings and that their accountants agreed. Promises made by farmers can also be taken into account when deciding how assets pass to beneficiaries. For example, if the farmer has always maintained that someone will ‘inherit the farm’ or ‘have somewhere to live on the farm’ and they rely on that to their detriment, this can override a partnership agreement or Will. Conduct of the parties is helpful in understanding the intention, but it is not as easy to prove as written evidence and is often difficult to recall over long periods of time. Land owned in the partnership has different tax implications to land owned by a partner outside of the partnership. Be careful when discussing the future of the farm as innocent comments can have huge implications in the future. To avoid a partnership dispute our team of dedicated solicitors can help with reviewing your partnership agreement so you can avoid a partnership dispute. For more information on how to avoid partnership disputes and help with reviewing any partnership agreements, please contact Vicky Timothy in our Trusts team on 0161 475 1209. New Electronic Communications Code: How Are Landowners Affected? How Can An Overage Agreement Protect The Future Value Of Your Land?